Making your own baby food? Pumping milk? Meal planning? Date It! labels from Lovable Labels make those New Year's Resolutions so much easier! 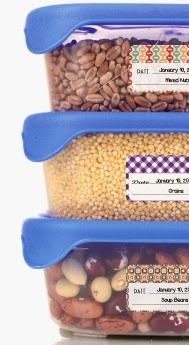 These easily stick to your food containers. 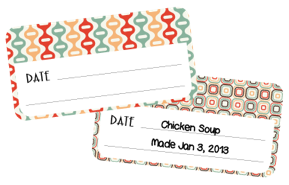 Just label the food item and the date, and take the guess work out of your stored items! No more "surprises" in your fridge and freezer! And don't forget to use coupon code JonnaZLB1 to save an extra 10%!